The Habsburg Monarchy (or Habsburg Empire) covered the territories ruled by the junior Austrian branch of the House of Habsburg (1278–1780), and then by the successor House of Habsburg-Lorraine (since 1780), between 1526 and 1867/1918. The capital was mainly Vienna, except from 1583 to 1611, when the capital was Prague. The monarchy from 1804 to 1867 is usually referred to as the "Austrian Empire" and from 1867 to 1918 as "Austria-Hungary". The head of the House of Habsburg was usually also the ruler of the Holy Roman Empire from 1440 until its dissolution in 1806. However, the two entities should not be considered coterminous, as the Habsburg Empire covered many lands beyond the Holy Roman Empire, and not all of the Holy Roman Empire was de facto under direct Habsburg control at any given time. In some contexts, the term "Habsburg Empire" might also refer to extended Habsburg family possessions once ruled solely by Charles V, Holy Roman Emperor, or to the Spanish Empire ruled by the senior Spanish branch of the house. The Habsburg family originated with the Habsburg Castle in modern Switzerland and after 1278 came to rule in Austria (the Habsburg Hereditary Lands). The Habsburg family grew to European prominence with the marriage and adoption treaty by Emperor Maximilian I at the First Congress of Vienna in 1515 and the subsequent death of adopted Louis II (King of Bohemia and Hungary) in 1526. Archduke Ferdinand of Austria, the younger brother of the Holy Roman Emperor Charles V, was elected the next King of Bohemia and Hungary following the death of Louis II of Hungary and Bohemia, in a battle against the Turks at Mohács. Habsburg monarchy or Austrian monarchy (1526–1867): This was an unofficial, but very frequent name – even at that time. The entity had no official name. Note that technically the term "Habsburg monarchy" can also refer to the period 1276–1918 when the Habsburgs ruled in the monarchy (archduchy) centered in present-day Austria and "Austrian monarchy" can refer to the monarchy centered in present-day Austria 1156–1867, but both terms are usually not used this way. Austrian Empire (1804–1867): This was the official name. Note that the German version is Kaisertum Österreich, i.e. the English translation empire refers to a territory ruled by an emperor, not just to a "widespreading domain", more accurately the "Emperordom of Austria". Austria-Hungary or Austro-Hungarian Empire (1867–1918): This was the official name. An unofficial popular name was the Danubian Monarchy (German: Donaumonarchie) also often used was the term Doppel-Monarchie ("Double Monarchy") meaning two states under one crowned ruler. Crownlands or crown lands (Kronländer) (1849–1918): This is the name of all the individual parts of the Austrian Empire (since 1849) and then of Austria-Hungary. The Kingdom of Hungary (more exactly the Lands of the Hungarian Crown) was not considered a "crownland" anymore after the establishment of Austria-Hungary 1867, so that the "crownlands" became identical with what was called the Kingdoms and Lands represented in the Imperial Council (Die im Reichsrate vertretenen Königreiche und Länder). The Hungarian parts of the Empire were called "Lands of the Holy Hungarian Crown of Saint Stephen" or "Lands of Holy (St.) Stephen's Crown" (Länder der Heiligen Stephans Krone). The Bohemian (Czech) Lands were called "Lands of the St. Wenceslaus' Crown" (Länder der Wenzels-Krone). Austrian lands (Österreichische Länder) or "Archduchies of Austria" (Erzherzogtümer von Österreich) - Lands up and below the Enns (ober und unter der Enns) (996–1918): This is the historical name of the parts of the Archduchy of Austria that became the present-day "Republic of Austria" (Republik Österreich) on 12 November 1918 (after Emperor Charles I had abdicated the throne). Modern day Austria is a semi-federal republic of nine states (Bundesländer) that are: Lower Austria, Upper Austria, Tyrol, Styria, Salzburg, Carinthia, Voralrlberg and Burgenland and the Capital of Vienna that is a state of its own. Burgenland, came to Austria in 1921 by a referendum from Hungary. Salzburg finally became Austrian in 1816 after Napoleonic wars (before it was ruled by prince-archbishops of Salzburg as an sovereign territory). Vienna, Austria's capital became a state January 1, 1922, after being residence and capital of the Austrian Empire (Reichshaupt und Residenzstadt Wien) for the Habsburg monarchs for centuries. Upper and Lower Austria, historically, were split into "Austria above the Enns" and "Austria below the Enns" (the Enns river is the state-border between Upper- and Lower Austria). Upper Austria was enlarged after the Treaty of Teschen (1779) following the "War of the Bavarian Succession" by the so-called Innviertel ("Inn Quarter"), formerly part of Bavaria. The Lands of the Bohemian Crown – initially consisting of the five lands: Kingdom of Bohemia, March of Moravia, Silesia, and Upper and Lower Lusatia. Bohemian Diet (Czech: zemský sněm) elected Ferdinand I, Holy Roman Emperor as king in 1526. The Kingdom of Hungary – Hungary had lost some two thirds of its territory to the Ottoman Empire and the Princes of Transylvania, while the Habsburgs were restricted to the western and northern fringes of the former kingdom, called Royal Hungary at that time. In 1699, at the end of the Ottoman-Habsburg wars, almost the whole former kingdom came under Austrian rule, with the rest being picked up in 1718. For much of its existence, the Kingdom of Hungary included the area of the present-day Republic of Hungary, Slovakia, Transylvania in what is now Romania, most of Croatia, the area of today's Vojvodina province in Serbia, and Carpathian Ruthenia, a small trans-Carpathian region now in Ukraine. 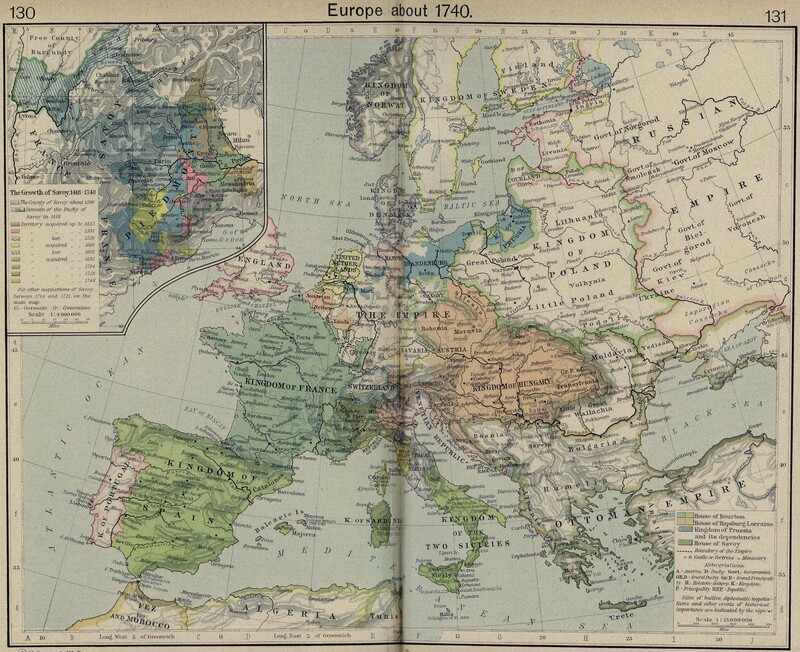 Between 1718 and 1739, various other Balkan territories, including the area around Belgrade and parts of western Wallachia, were also attached, but were lost following an unsuccessful war with Turkey in 1739. Much of the area bordering the Ottoman Empire was separated out from Hungarian administration and formed into the Military Frontier, which was ruled directly from Vienna. Croatia and Slavonia, later Croatia-Slavoinia was an autonomous part of the Kingdom of Hungary, although Slavonia fell under Ottoman Empire in the middle of the 16th century and was retaken in the early 17th century. The boundaries of some of these territories varied over the time period indicated, and others were ruled by a subordinate (secundo-geniture) Habsburg line. The Habsburgs also held the title of Holy Roman Emperor between 1438 and 1740, and again from 1745 to 1806. The various Habsburg possessions never really formed a single country - each province was governed according to its own particular customs. Until the mid 17th century, all of the provinces were not even necessarily ruled by the same person - junior members of the family often ruled portions of the Hereditary Lands as private apanages. Serious attempts at centralization began under Maria Theresa and especially her son Joseph II in the mid to late 18th century, but many of these were abandoned following large scale resistance to Joseph's more radical reform attempts, although a more cautious policy of centralization continued during the revolutionary period and the long Metternichian period which followed. An even greater attempt at centralization began in 1849 following the suppression of the various revolutions of 1848. For the first time, ministers tried to transform the monarchy into a centralized bureaucratic state ruled from Vienna. The Kingdom of Hungary, in particular, ceased to exist as a separate entity, being divided into a series of districts. Following the Habsburg defeats in the Wars of 1859 and 1866, this policy was abandoned, and after several years of experimentation in the early 1860s, the famous Austro-Hungarian Compromise of 1867 was arrived at, by which the so-called Dual Monarchy of Austria-Hungary was set up. In this system, the Kingdom of Hungary was given sovereignty and a parliament, with only a personal union and a joint foreign and military policy connecting it to the other Habsburg lands. Although the non-Hungarian Habsburg lands, often, but erroneously, referred to as "Austria," received their own central parliament (the Reichsrat, or Imperial Council) and ministries, as their official name - the Kingdoms and Lands Represented in the Imperial Council - shows that they remained something less than a genuine unitary state. When Bosnia and Herzegovina were annexed (after a long period of occupation and administration), they were not incorporated into either half of the monarchy. Instead, they were governed by the joint ministry of finance. The Habsburg monarchy should not be confused with various other territories ruled at different times by members of the Habsburg dynasty. The senior Spanish line of the Habsburgs ruled over Spain and various other territories from 1516 until it became extinct in 1700. A junior line ruled over Tuscany between 1765 and 1801, and again from 1814 to 1859. While exiled from Tuscany, this line ruled at Salzburg from 1803 to 1805, and in Würzburg from 1805 to 1814. Another line ruled the Vorlande from 1803 to 1805, and Modena from 1814 to 1859, while Empress Marie Louise, Napoleon's second wife and the daughter of Austrian Emperor Francis, ruled over the Duchy of Parma between 1814 and 1847. Also, the Second Mexican Empire, from 1863–1867, was headed by Maximilian I of Mexico, the brother of Franz Josef II. The daughter of Francis II, Maria Leopoldine, was married to the first emperor of Brazil, Pedro I. The arrangement resulted in a large immigration from the various people living within the borders of the Austrian Empire to Brazil. Charles VI 1711–1740 "Karl VI." as Spanish King "Carlos III"
Maria Theresa 1740–1780 correctly written "Maria Theresia"
Leopold II 1790–1792 from 1765–1790 "Grandduke of Tuscany"
^ a b "Czech Republic - Historic Centre of Prague (1992)" Heindorffhus, August 2007, webpage: HeindorffHus-Czech. The Habsburg Monarchy at its height under Charles V in 1547. The Habsburg Monarchy (or Habsburg Empire) covered the territories ruled by the junior Austrian branch of the House of Habsburg (1278–1780), and then by the successor House of Habsburg-Lorraine (from 1780), between 1526 and 1867/1918. The Imperial capital was Vienna, except from 1583 to 1611, when it was moved to Prague. The monarchy from 1804 to 1867 is usually referred to as the "Austrian Empire" and from 1867 to 1918 as "Austria-Hungary". The Habsburg family originated with the Habsburg Castle in modern Switzerland and after 1278 came to rule in Austria (the Habsburg Hereditary Lands). The Habsburg family grew to European prominence with the marriage and adoption treaty by Emperor Maximilian I at the First Congress of Vienna in 1515 and the subsequent death of adopted Louis II of Hungary and Bohemia in 1526. Archduke Ferdinand of Austria, the younger brother of the Holy Roman Emperor Charles V, was elected the next King of Bohemia and Hungary following the death of Louis II of Hungary and Bohemia, in the Battle of Mohács against the Turks. Austrian lands (Österreichische Länder) or "Archduchies of Austria" (Erzherzogtümer von Österreich) - Lands up and below the Enns (ober und unter der Enns) (996–1918): This is the historical name of the parts of the Archduchy of Austria that became the present-day "Republic of Austria" (Republik Österreich) on 12 November 1918 (after Emperor Charles I had abdicated the throne). Modern day Austria is a semi-federal republic of nine states (Bundesländer) that are: Lower Austria, Upper Austria, Tyrol, Styria, Salzburg, Carinthia, Voralrlberg and Burgenland and the Capital of Vienna that is a state of its own. Burgenland came to Austria in 1921 from Hungary. Salzburg finally became Austrian in 1816 after Napoleonic wars (before it was ruled by prince-archbishops of Salzburg as an sovereign territory). The Habsburg monarchy should not be confused with various other territories ruled at different times by members of the Habsburg dynasty. The senior Spanish line of the Habsburgs ruled over Spain and various other territories from 1516 until it became extinct in 1700. A junior line ruled over Tuscany between 1765 and 1801, and again from 1814 to 1859. 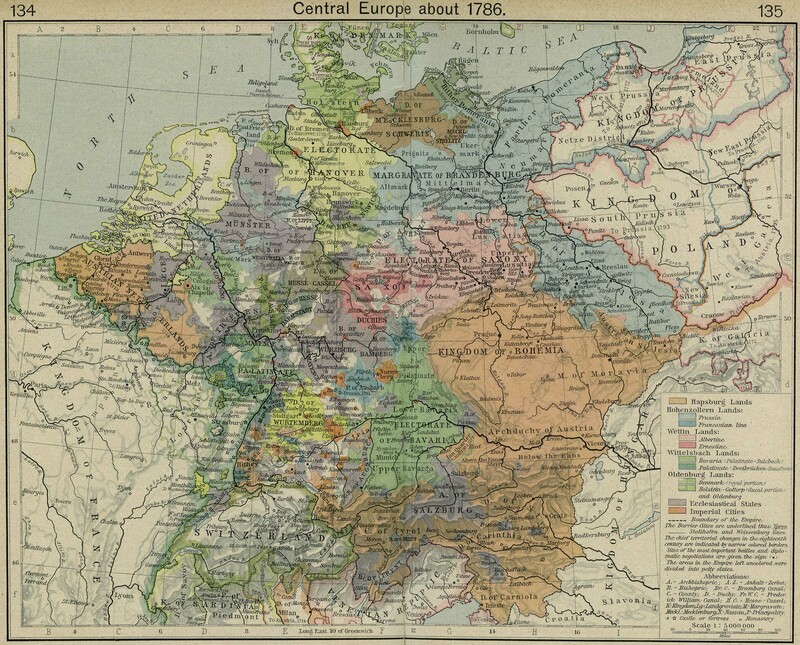 While exiled from Tuscany, this line ruled at Salzburg from 1803 to 1805, and in Würzburg from 1805 to 1814. Another line ruled the Vorlande from 1803 to 1805, and Modena from 1814 to 1859, while Empress Marie Louise, Napoleon's second wife and the daughter of Austrian Emperor Francis, ruled over the Duchy of Parma between 1814 and 1847. Also, the Second Mexican Empire, from 1863–1867, was headed by Maximilian I of Mexico, the brother of Emperor Franz Josef of Austria.